For more information on how to get to the conference, see also Practical Book. 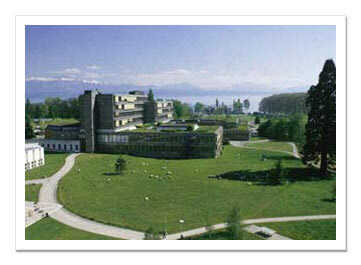 The conference will be held in Lausanne, on the campus of the Swiss Federal Institute of Technology (EPFL) and the University of Lausanne (UNIL). In front of the train station, you’ ll find the main bus stop. 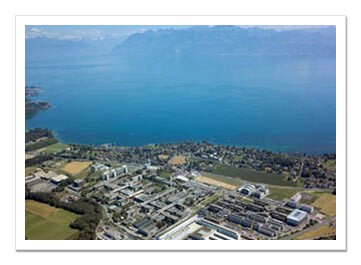 Take the «MetroBus (mb)» to the «Lausanne-Flon» bus stop. If you don’t have any luggage and you want to do some sightseeing you can also walkup the steep street «Petit Chêne» to get to the Flon. Departure every 7 min utes, duration 5 minutes. The conference main area is in the Amphimax and Amphipôle about 100 meter south east of the Sorge stop. Follow the FOSS4G roadsigns. Taxi drive from Main train station or Flon station to the conference (UNIL Sorge) will cost around CHF25.00 one way depending on traffic. The phone number for taxi reservation is 0800 810 810 (toll free). The registration desk is located in the main hall of the Amphipôle building where lunches, breaks, exhibits are taking place. Conferences are taking place in the Amphimax (directly connected to the Amphipôle), Cubotron and Génopode buildings.